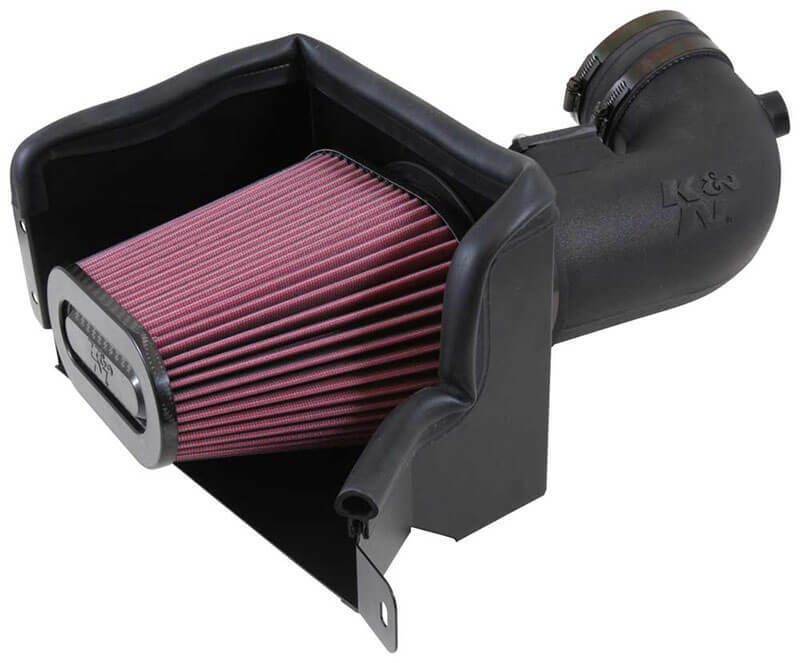 Replacing your vehicle’s restrictive factory air filter and air intake housing, the 57-3081 FIPK air intake from K&N allows your engine to inhale a larger amount of air than ever before—and more air means more usable power and acceleration throughout the engine’s RPM range. This 57 Series air intake comes with a chrome-topped K&N high-flow air filter and a heat shield that installs into the previous air box space. The tube accommodates the factory mass air sensor, air temperature sensor, and evaporative canister vent line, while the oversized conical air filter can be used for up to 50,000 miles before servicing (depending on driving conditions). Note: Street legal in all 50 states. Simple and cost-effective horsepower upgrade. Improves throttle response and engine sound. Replaces factory air filter and intake tube. Washable and reusable air filter. Street legal in all 50 states. Installation time: < 90 minutes (with commonly available tools). Warranty: K&N Million Mile Limited Warranty.